Cats have a weird love-hate relationship with water. Most cats can’t stand water, but there are a few exceptions. Some breeds even LOVE to swim! But what’s stranger is how cats have evolved to interact with water. Some of these facts may really surprise you! 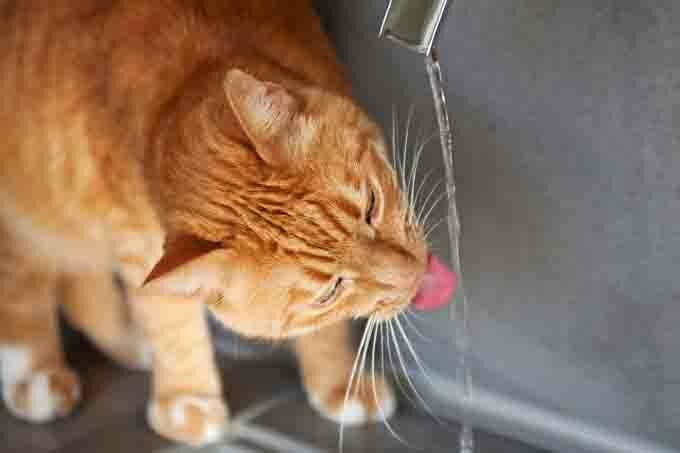 For cats, water has an actual taste. All carnivores, including humans, have receptors for water that help with swallowing. But cats and dogs actually have taste receptors for water. This means that while we may find water to be bland and boring without a little flavor added, cats and dogs actually think it’s tasty. Interestingly, for dogs, water gets tastier after eating meat, which helps them drink enough water to outweigh the saltiness of meat. Cats aren’t as sensitive to thirst as dogs. Although they have evolved not to need as much water every day as dogs do, they’re also at risk of becoming dehydrated before dogs because they may not realize when they’re thirsty. Cats’ urine will actually become more concentrated if they’re not getting enough water in order to help their bodies adjust and last longer. Because cats may not drink enough on their own, it’s helpful to feed your cats some wet, canned food to go along with dry food. This will ensure they get extra water through their food and stay well hydrated. This is where cats have a huge advantage over people! If we try to drink only seawater, we’d die from dehydration. Meanwhile, cats can drink seawater and live! That’s because their kidneys are efficient enough to filter out the salt and use the desalinated seawater for hydration. Amazing right? Meanwhile, if humans try to do that, we have to use more water in our body to desalinate seawater than we’re actually drinking. That’s why when we try to drink seawater, we end up more dehydrated. If you have a cat that likes to dip her paw in the water dish before drinking or likes to bump the dish and make water splash everywhere, she may not be trying to get on your nerves. Cats actually prefer to drink moving water over still water. In the wild, they evolved to realize that still water is often stagnant and, thus, can carry poisonous bacteria. If your kitty doesn’t seem to be drinking enough, try buying a plug-in pet water fountain at your pet store. She may start drinking a lot more! Here’s another little tidbit to keep in mind: some cats prefer their water bowls be kept in a different location from their food. If you don’t think your cat is drinking enough, try adding a second water bowl in a different room.